Supports a single coaxial, fiber optic or copper cable up to 3.75" outside diameter. 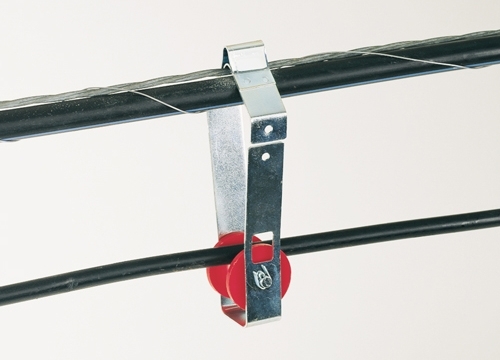 A built in Unidirectional strand lock fits up to 1⁄2" strand to prevent creeping during cable installation. 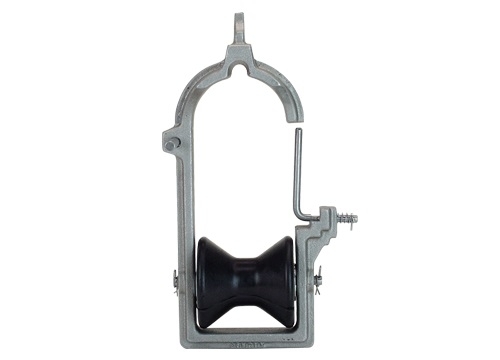 Frame and roller are manufactured out of durable cast aluminum. Condux offers economical Cable Blocks for support of one cable or innerduct up to 1.25" (32 mm) outside diameter. Integrated cable retaining system with spring-loaded arm. Frames are durable cast aluminum with steel inserts on strand contact surfaces, and can be used on strands up to 3⁄8" (10 mm) in diameter. Rollers are plastic or steel. Fit Overlash Cable Blocks over an existing cable bundle up to 3" (76 mm) in diameter and support one 1.25" (32 mm) diameter cable or innerduct. Built-in cable retention system allows placement and removal from ground. Frames are durable cast aluminum with steel inserts on strand contact surfaces. Rollers are rubber or aluminum. This alternative Cable Block may be placed over existing cable bundles up to 1.5" (38 mm) in diameter. Single rollers are available in plastic or steel and can accommodate cable or innerduct up to 1.00" (25 mm) diameter. 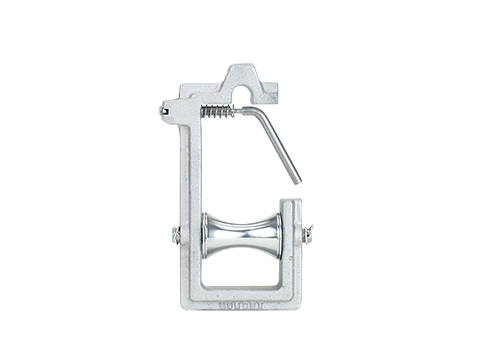 Lightweight zinc-plated steel frame opens and closes for easy installation and ensures cable retention. No poly-based rope is to be used on plastic rollers. If you are using poly rope, please order aluminum block rollers.